What information do I need to supply to get started? Getting started with NinjaWP is super easy! Once you fill out the sign-up form on our website located at https://ninjawp.net/lets-get-started/. you will receive an automated welcome message and a link to our customer information form. This form gives us all the access information we need to access your website and make any changes you need. Rest assured that the information is transmitted securely, stored safely and NEVER shared with a third party. We are in the business of assisting people with WordPress problems, not making money off of marketing services. 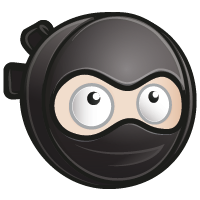 Once you submit our customer information form our Support Ninjas will go through the information, test it to ensure it works and contact you if there are any issues. You will also receive an email with a link to our support portal - it will look like the message below. Please check your spam folder if you don't receive it. This email is typically sent out within 24 hours of your signing up for NinjaWP. Once you click the link in the welcome message you will be redirected to our support portal where you can choose any password you like, as long as it is at least 5 characters long and different from your email address. And that's it. You're now ready to submit your first ticket!